The British public, generally speaking, show deference to royalty and are scandalised, yet fascinated, by any of its human failures. However, after the death of Diana, Princess of Wales, the royals were perceived, in the tabloid press, as cold and unfeeling when they did not participate in the outpouring of general grief. Later, opinion changed when the Queen gave a live television broadcast paying tribute to Diana. Many recoil instinctively from a monarchy that insists, by its very existence, that a strict class system is the best way to unite a nation. On the other hand, polls have regularly shown that Elizabeth II has an excellent approval rating. The puzzle is why this should be so. Why has the Queen been so popular? The ceremonials and pageantry surrounding the crown is a tourist attraction and there is a general fascination with celebrity. Thus one wonders whether the public interest in the royal story of the Queen and her family is little different from its interest in any popular television soap? With their distant, privileged lives, the royals are a constant target for criticism and abuse. There have been film and books exposing their failings and private tragedies to the gaze of the world. For example the Duke of Edinburgh’s gaffe-prone struggle with his subordinate role and his wandering eye. Film has used dramatic licence at times because the truth about the royal family’s private life is hard to pin down. The tabloids have been even more speculative. Is the Queen popular because of her personal behaviour? Despite criticism of the royal family, the Queen hasn’t responded with indignation or resentment to the rumour and salacious tittle-tattle. She has remained composed and centred in her sense of responsibility to her role as sovereign. Although she is said to have a wicked sense of humour, she never voices any nasty remarks. Her manners are impeccable (unlike those of her husband Phillip), she is never showy or snobbish (unlike her sister Margaret); never frivolous (unlike her younger children); never unfaithful to her spouse (unlike her son Charles), never putting self before duty (unlike her uncle Edward); and she is not emotionally manipulative (unlike as her daughter-in-law, Diana, has been seen by some). She does not want praise for herself. For example she played down becoming Britain’s longest-reigning monarch, deciding against any public fanfare. 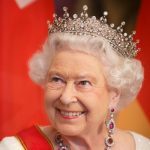 Is the Queen popular because of her position as sovereign? Whether we obey it or not, we all need the rule of law and order; otherwise society would collapse. The prosecution of criminals is by the crown. This is conducted by a QC (queen’s counsel). I would argue that, as head of state, her position provides constitutional stability behind the fraught political process. This shows itself particularly when there is a possible change of government. By keeping quiet about her own political views, she doesn’t take sides. Can we then value her because of this purely constitutional function? Many people believe she unites the country. Britain has had a monarchy for a long time. Some adore pomp and spectacle whilst others detest it and the expenditure required. It seems that for the majority of British people, history and tradition are intertwined with their cultural identity. The Queen remains reserved in public. In matters of diplomacy, others know her as quite formal, and royal protocol is generally very strict. But is the Queen popular because of her devotion to duty? Through the years she has continued, week in week out, to meet people. Ordinary citizens, representatives of innumerable charitable organisations, political leaders and key individuals have spoken with her at every kind of event all over the world. The Queen takes the trouble to always dress her best, shake hands and smile. Also, she listens and gives words of recognition, encouragement, and inspiration. She has an interest in the welfare of other countries as well as her own. There are few, if any, thoughtless remarks which might cause offence. As figurehead of Britain and the Commonwealth of nations, she has always been a positive ambassador. Whatever her personal thoughts or political ideas, the role of the sovereign is to remain neutral at all times. For example she visited Northern Ireland and for the first time met members of Sinn Fein. This is the political wing of the IRA. People who were responsible for murdering a member of her family, her cousin Lord Mountbatten. In a secular society, her religious beliefs probably do not make her popular. However I think her conduct which results from them has. She has tried to adhere to her own faith in Christ’s teaching about useful service. This has meant giving her life to doing what is good for the sake of others. She recognises at times this involves an element of self-sacrifice. I would say this is the true ethos of religion, and the opposite of a self-serving attitude. She has plenty of servants, but she herself has been a servant to all those for whom she is their queen. Christ lived his life this way. Previous Previous post: Inner growth – What changes in us? Next Next post: Team spirit – What causes it?